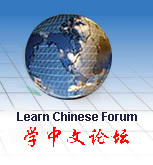 Most non-Chinese speakers believe that the characters that make up Chinese language are difficult to read or write. Yet the interesting thing about Chinese characters is that their structure and form is closely related to their meaning. Once you get to know the secrets of Chinese characters, you will find them both easy and interesting. Approximately 200 commonly used Chinese characters are introduced and explained in the two volumes of this collection. Each character is explained with a pictograph, short story, stroke-by-stroke writing method, and context usage. In addition, each character is used in many word combinations and idioms so you can learn even more Chinese characters! A great book for both children and adults to learn Chinese! This order is for book volume 2.